The 2018 Denver Parade of Homes has come to an end and we’re happy to announce the winner of the third week of its #MyParadeInspiration social contest. 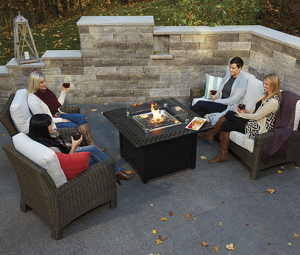 One (1) Napoleon Kensington Fire Table from Fireplace Warehouse ETC, which makes any outdoor space the perfect place to entertain. Congrats to @pookydogs for winning this week! The #MyParadeInspiration social contest coincided with the 2018 Denver Parade of Homes, which ran from Thursday, Aug. 9, 2018 through Sunday, Aug 26, 2018. Here’s a look back at some of the inspiration you shared with us during this year’s Parade.